Flash forward to Present Day’s publication of "Heartstrings in B-flat Minor." Scott's debut novel has garnered amazing reviews, including a "Readers' Favorite 5-Star Review" in the "2018 Readers' Favorite International Book Award Contest." 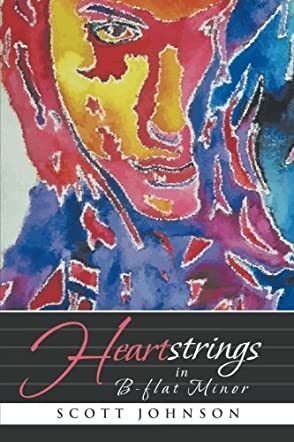 Heartstrings in B-flat Minor by Scott Johnson follows the distressing story of Sheryl when she first arrives home from Cairo. Waiting for her is Sterling, a skillful conman who learned his cunning ways from his uncle. Sterling is a master manipulator, having perfected his ability to hypnotize, and Sheryl innocently falls into his trap, thinking she has found the man of her dreams. What follows is a heart-breaking trail of events as Sterling swindles Sheryl into complete financial and emotional ruin. Despite being aware of his schemes, Sheryl continues to stick with him, financing his lifestyle and nonexistent company. He causes her continuous heartbreak but the spell he has over her seems too hard to break. Sheryl’s career takes a sharp plunge as she tries to please him while Sterling persists in his mission to destroy her. Scott Johnson delivers a powerful lesson in Heartstrings in B-flat Minor. From the outside looking in, I could not help but wonder why Sheryl stuck with this conman for all those years. Certainly, from the inside, it seems it is not so easy to get out. Reading the book allowed me to look at the situation from the victim’s view and try to understand what held her to him for so long. I got to see Sterling's tactics closely, from the reassuring words to shifting blame and always making Sheryl view him as the victim. Despite being disturbing, Heartstrings in B-flat Minor offers incredible insight inside the relationship of a master con artist and his victim. The warning contained is adeptly delivered and the story is eye-opening.